Tower Transit Bus Service 990 is a trunk route running between Bukit Batok Bus Interchange and Jurong Gateway Road, serving Bukit Batok East Avenue 3, 6, Jurong East Central and Toh Guan Road. This is the 32nd service to be rolled out under the Bus Service Enhancement Programme (BSEP), launched on Saturday, 15 November 2014. 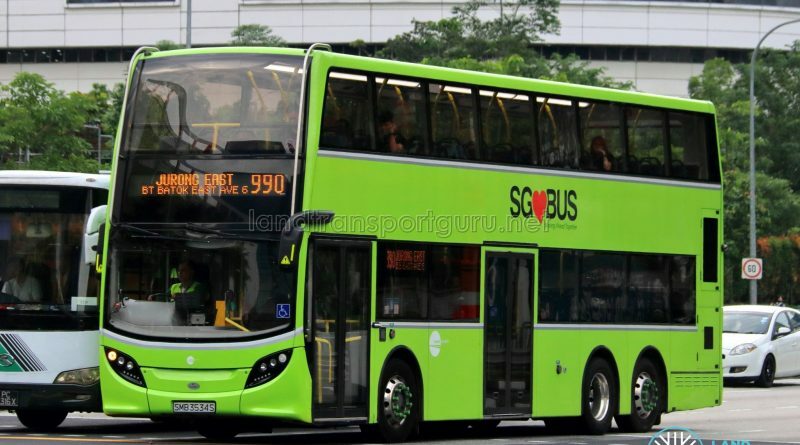 Service 990 provides residents around Bukit Batok East Avenue 3, Avenue 6 and Toh Guan Road with greater connectivity to Bukit Batok MRT Station/Bus Interchange, Jurong Regional Centre, Jurong East MRT Station and Bus Interchange. The route was launched on Saturday, 15 November 2014, and offered free rides on 15th and 16th November 2014. The route serves the many amenities around Jurong Regional Centre (such as shopping malls), Bukit Batok Swimming Complex, Ng Teng Fong General Hospital, and schools such as Keming Primary School and Bukit View Secondary School. 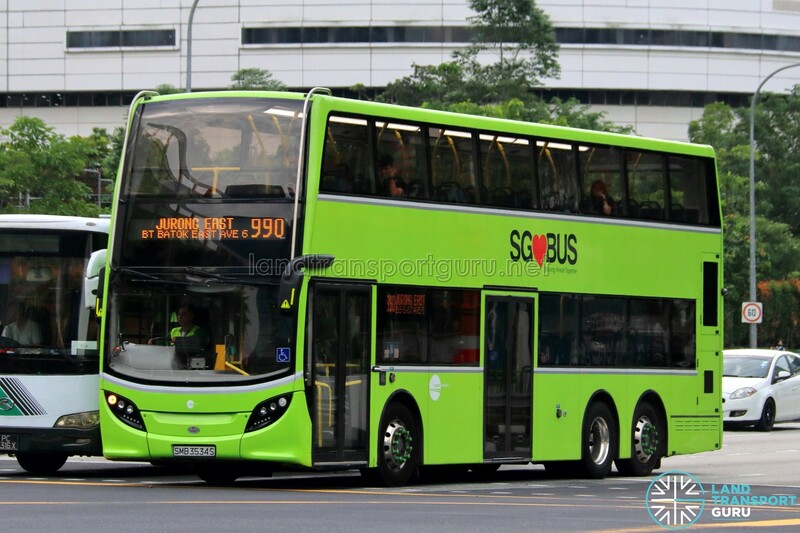 This is the thirty-second bus service to be introduced under the Bus Service Enhancement Programme (BSEP). Service 990’s launch was held in tandem with SMRT’s Community Engagement & Career Fair (known as Journey With Us@Bukit Batok Interchange). Free rides were offered to all commuters on the first two days of service (15 & 16 November 2014). SMRT operated the route since its introduction until its it was re-allocated to the Bus Contracting Model (Bulim Bus Package) in May 2016. I think Mercedes-Benz Citaros are also in the fleet as there are lots of them during the peak hours.